Once or twice a week I receive a request from a small business asking to carry my chocolates. I really appreciate their confidence in my product, and that they feel the chocolates are fine enough to sell in their establishments is an honor. I do suspect, however, that many people do not realize that I am not running a factory with a massive stockpile of chocolates. Every summer I have tour requests “to visit the Meeteetse chocolate factory.” I make every single item in my store daily. I use the finest ingredients I can get my hands on, and I absolutely refuse to sell anything that I feel is not worthy. Due to the fact that I refuse to use additives and preservatives, most of the chocolates that I create are only best within a few days. After 5 days the creaminess and texture begin to falter and they become stale. Now, if I ship off boxes of truffles to a retailer, by the time they get on their shelves they are already a day or two away from expiration. My chocolates are very fragile and cannot be frozen. Most consumers are used to buying boxed chocolates that will last several weeks or months, not several hours to several days. This, I feel, is what makes them so good. These are chocolates that are meant to be enjoyed here in the now. As one famous Manhattan Chocolatier often says… ” These are chocolates, not postage stamps!” Chocolates are meant to be enjoyed, not collected and saved. I do not wholesale my chocolates to any business anywhere. They are only available at Meeteetse Chocolatier in Meeteetse Wyoming and on our website. Occasionally I will do a special event with our good friends at juniper Wine in Cody. From time to time I also do special events outside of Meeteetse, and these are well publicized here on our website and on our Facebook page. 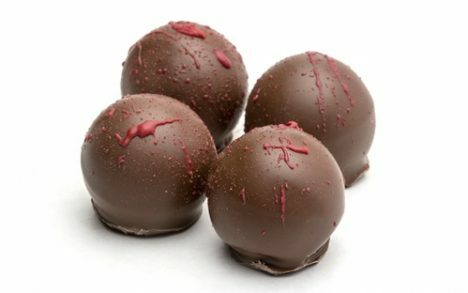 I recently had a customer call to say they purchased some of my chocolates in Montana and they were stale. She was surprised when I told her that I do not wholesale and only offer my chocolates in Meeteetse. Apparently the owner of the store bought several items from my store and re-sold them. I have no idea when they bought them, and apparently they did not care that they were selling inedible items. I care about quality not quantity. Period. I would rather have 1 case of extraordinary chocolates than 5 cases of mediocrity. I can only control the quality of my product while it is in my store. That is the primary reason I will not wholesale. Secondly, as many of my customers know, it is all I can do in any one day to keep my cases filled. I am only one man, and can only make so many chocolates in a 24 hour day. That is what makes my chocolates so special. They are artisan chocolates, handmade by me daily. I have worked so very hard to create the business I have, and I will never disrespect my customers or myself by cutting corners, using inferior ingredients, or making a product that I am not proud of. Quality, not quantity. Some businesses judge their success by growth and volume. I judge my success by the look on someones face when they bite into a sage truffle or a Sensation. That, to me is success, and I will never stop my quest for making the very finest chocolates that I can.